Two-strand twists, box braids, bantu knots — these are some of the things that African-American women can do with their natural hair but society has numerous negative notions that black hair is unkempt, dirty, and unprofessional. “Black women get crap for their hair about everything. If they wear it in braids, weaves, or cut it off, there is always someone that has to say something. Just let her live,” said fourth-year Celeste Youngblood. In my opinion, learning to love natural hair for black women is something that must be learned. We are taught as children that convenience is key, meaning styles that are easy to manage like perms or braids. Perms are a way of chemically straightening curly hair in order for the hair to be seen as more manageable. Braids are simple and can be worn for long periods of time to give the hair a break from manipulation. I’ve worn both hairstyles and have experienced what each has done for me but ultimately, I went back to my natural hair instead of dealing with a chemically-altered hair texture. This article is not about bashing women with relaxed or permed hair. “[Celebrities are] really good exposure for people who want to become natural. It shows you that you don’t have to conform to the world’s ideas of beauty,” said fourth-year student Jasmine Tindull. “Solange and Zendaya rock [the natural look],” said Tindull, which is a big deal seeing as how much of a negative stigma comes with having natural hair. An article published by InTouch Magazine spewed negative remarks at Solange Knowles’s natural hair, saying it looked “like a dog’s mane,” according to bustle.com. 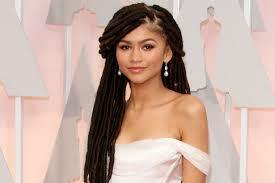 A more recent example involved actress Zendaya Coleman’s hair, and TV personality Giuliana Rancic claiming the young woman and her natural hair “smelled of patchouli and oil,” according to elle.com. Many micro-racist comments have been made on black women’s natural hair since the dawn of time and a lot of women immersed in the black hair community know this struggle all too well. With comments and questions like “How often do you wash your hair? And what are you mixed with?” all the way to questioning if it’s really their hair are some questions both Tindull and Youngblood and many more natural-haired women have had to deal with. I decided to go back to my natural state of hair when I realized my hair was breaking off from relaxers and clip-ins. I was tired of altering my hair and doing long-term damage to it instead of embracing the curls that are now two years prevalent atop my head. 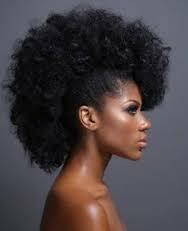 “It’s not just your hair that changes, you change mentally to have natural hair,” said Tindull. I’ve learned to fully embrace myself since the switch and hope that many more young black girls learn to love themselves and their hair without fear of rejection from society.